Spring explosion of warm and profound power pop. With: Sheila Heti’s (How Should a Person Be?) wiggly authenticity, Hilton Als’s (White Girls) knowing insouciance, the jaded incandescence of Mira Gonzalez (I Will Never Be Beautiful Enough to Make Us Beautiful Together) and Kim Gordon’s and Bill Nace’s volatile lyric im&ex-plosion as Body/Head. Be there as undeniable newness rears its tawny head to celebrate The Poetry Project’s 47th spring. 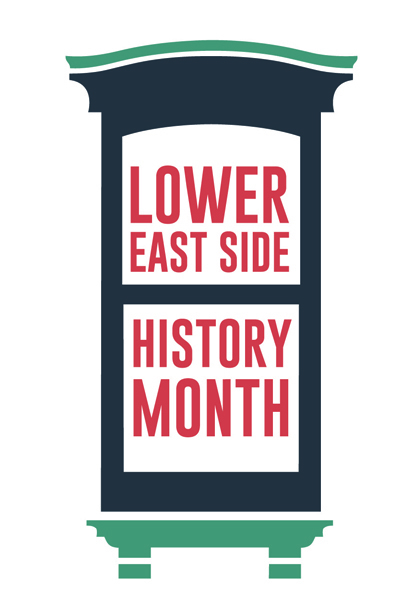 Hosted and curated by our own hot (Inferno) and cold (Snowflake) ineluctable former Artistic Director Eileen Myles. In the Sanctuary. Sheila Heti is the author of five books, including a children’s book called We Need a Horse. Most recently she published the novel, How Should a Person Be? which was a New York Times Notable Book. Her work has been published in The London Review of Books, n+1, Harper’s, The New York Times and The Believer. This fall, she is publishing a book collaboration called Women in Clothes, edited with Leanne Shapton and Heidi Julavits. Hilton Als is a staff writer for The New Yorker. He has published two books: The Women (1996) and White Girls (2013). White Girls was nominated for a New York Book Critic’s Circle Award Mira Gonzalez [b. 1992] is from Los Angeles, California. Her debut book of poetry I Will Never Be Beautiful Enough to Make Us Beautiful Together was published by Sorry House in 2013. It was a finalist for the Goodreads Choice Awards, coming out ahed of Poet Laureate Billy Collins and losing to J.R.R. Tolkien. It has been featured in The Rumpus, Nylon Magazine, Vice, Paper Magazine and Muumuu House. Her work has been published widely in print and online. Body/Head are an electric guitar duo comprised of Kim Gordon (CKM, Sonic Youth, Free Kitten, etc.) and Bill Nace (X.O.4, Vampire Belt, Ceylon Mange, etc.). They began working together in various loose formats a few years ago, but the Body/Head concept evolved more specifically in early 2012. Body/Head have recorded a single for Dennis Tyfuss’ Ultra Eczema Editions, a tour EP for Nace’s own Open Mouth Productions, and released a collaboration with Dead C’s Michael Morley through Feeding Tube Records. Their debut LP, Coming Apart, was released by Matador Records in 2013. $25 at the door/$20 in advance via Brown Paper Tickets. All proceeds benefit The Poetry Project. 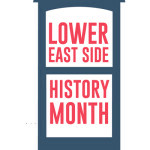 This event is part of Lower East Side History Month!